How do I deal with my boyfriend relationship with his sponsor? My boyfriend is in a recovery program. He has a sponsor and they are really close. I feel left out because he always talks to him and doesn't tell me what's going on with him? Comments for How do I deal with my boyfriend relationship with his sponsor? What great news that your boyfriend is in addiction recovery and is working with a sponsor. Having a good, reliable sponsor is often a key part of addiction recovery. On the other hand, he needs to reconnect with you and reestablish the trust you once had. This is also part of addiction recovery. I would recommend that you you begin attending Al-anon meetings two or three times a week and find a sponsor who has helped her boyfriend through addiction recovery. The more you understand about addiction and what you're truly dealing with, the more you will be able to reconnect with your boyfriend. Why your boyfriend is choosing to communicate with his sponsor rather than you is concerning, but there may be things that your boyfriend needs to deal with that only his Higher Power and his sponsor will ever know about. When doing the fourth and fifth step often only the sponsor is involved. I also recommend you give your boyfriend some space and allow him to reconnect with you on his terms. 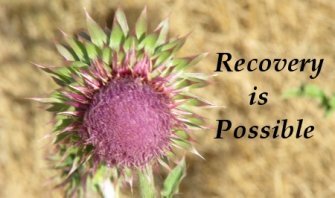 Addiction recovery is REALLY hard and the more he works with his sponsor the more likely he is to recover and not relapse.